Jane Eyre: Large Print Edition (Large Print / Paperback) | Let's Play Books! This large print edition is cleanly formatted for easy reading. 16 point Garamond, 1.25 spacing. 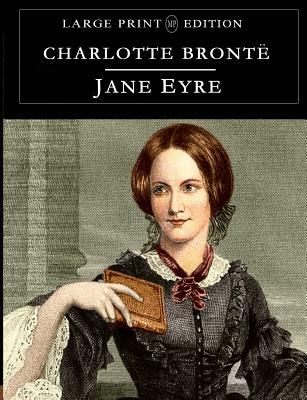 First published on 16 October 1847 by Smith, Elder & Co. of London, England, under the pen name ""Currer Bell,"" Jane Eyre revolutionised the art of fiction. It is considered way ahead of its time in that it explores themes of individualism, classism, sexuality, religion and feminism.